Amusement Masters Comes Alive At ISES Live! In August the Amusement Masters‘ team brought our love of event entertainment and team building to the 2015 ISES Live industry conference. Produced by the International Special Events Society, the annual conference was held this year in one of our favorite cities, New Orleans. We absolutely love New Orleans and our clients in this city – how can you not love producing events where centuries of old architecture is your backdrop! 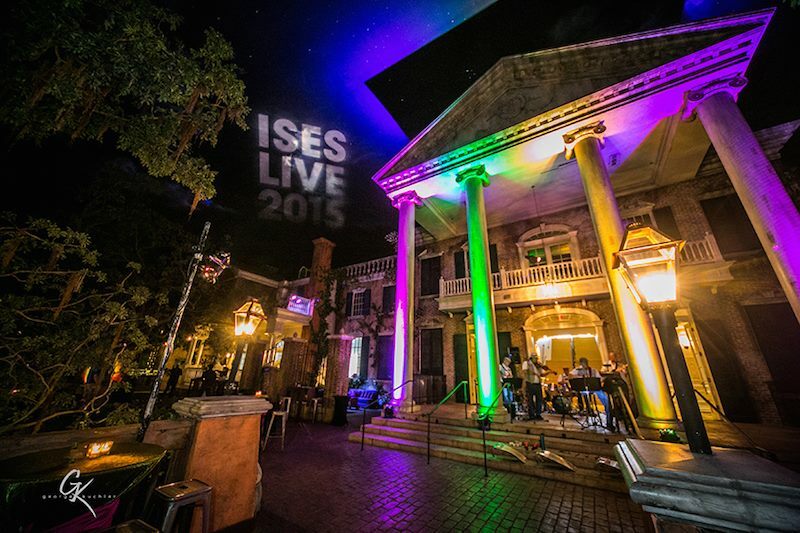 For any event professional that hasn’t attended an ISES Live conference, you’re missing out. This education event was created to deliver an experience with stimulating industry ideas and promote knowledge sharing with other creative professionals from around the world. Attendees of this 3-day event literally come from all over the globe – many attended that we’re proud to now call friends and a few, clients. The opening session for the conference this year was speaker Jonah Evans of the Dear World project. Dear World unites people through their distinct message-on-skin portraits that are shared worldwide. ISES Live attendees were asked during the morning session to write a short message that mattered to them on their body and be photographed to share their story. 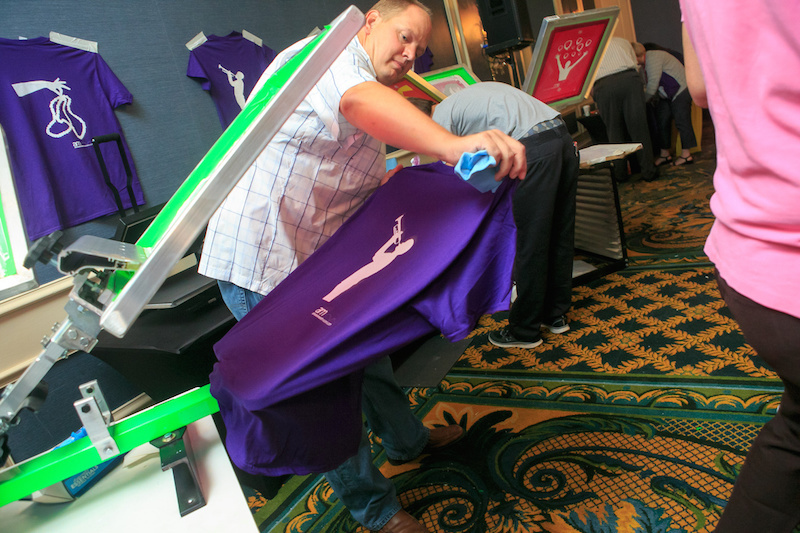 We were honored to be a secondary part of this activity, by giving attendees the opportunity to do the same with a custom Amusement Masters’ screen-printed t-shirt. 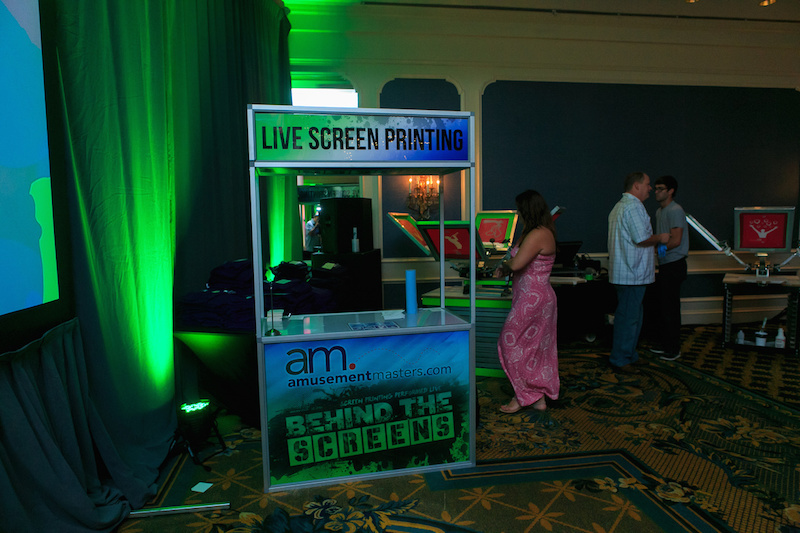 Our Live Screen Printing booth started the process for attendees where they selected their shirt t-design and then watched it be printed live. Once printed they could then write their Dear World message onto the shirt. 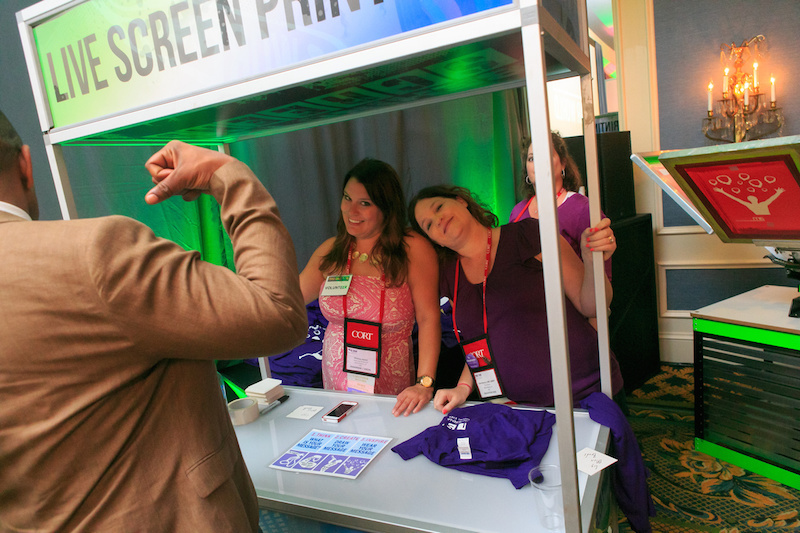 For more than an hour, attendees stepped up to experience our Screen Printing Live booth – we loved engaging with each and everyone of them! 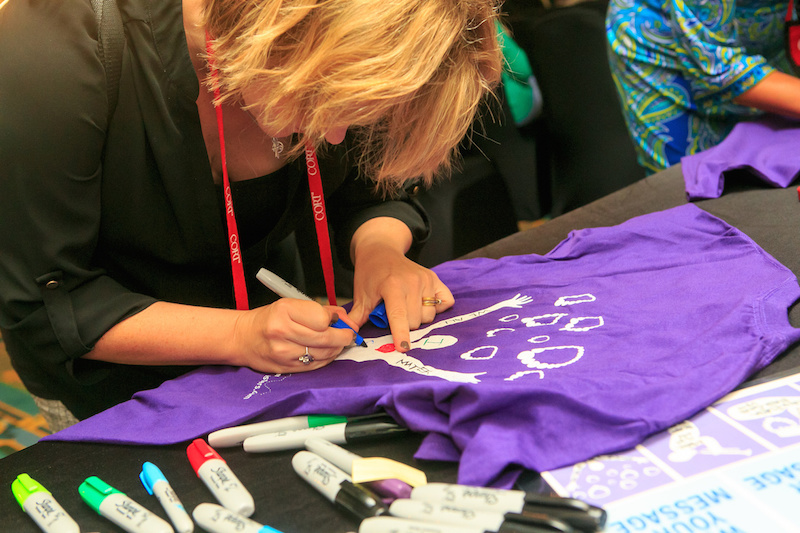 Not only did the screen printing booth allow for team engagement and bonding, but it gave every attendee a keepsake that will live on long after the conference has ended. Screen Printing Live booth where attendees picked out their t-shirt. Amusement Masters’ owner, Kelly Smink pushes the ink to press a custom shirt. Amusement Masters’ Shane Cochran removing a newly pressed shirt from the machine. 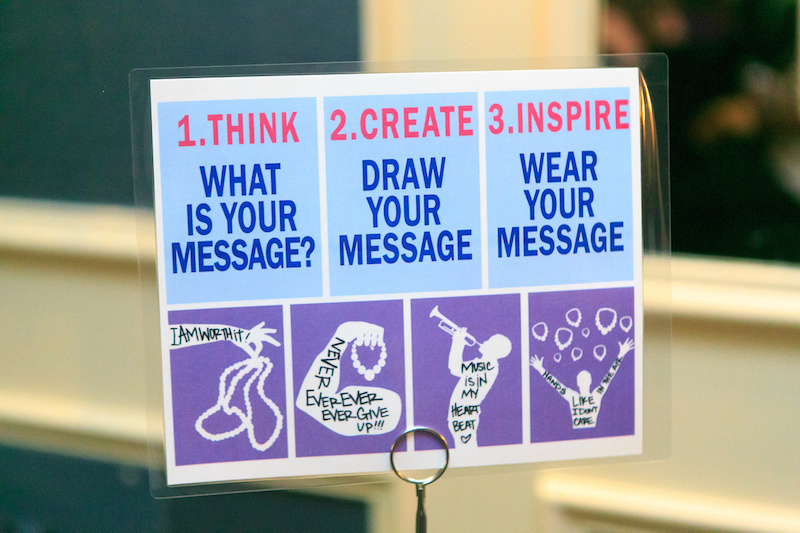 Signage of t-shirt designs to choose from and the process…think, create, inspire! Attendees writing their inspiring messages onto custom tees. New Orleans event professionals lending their warm and welcoming smile to the booth. 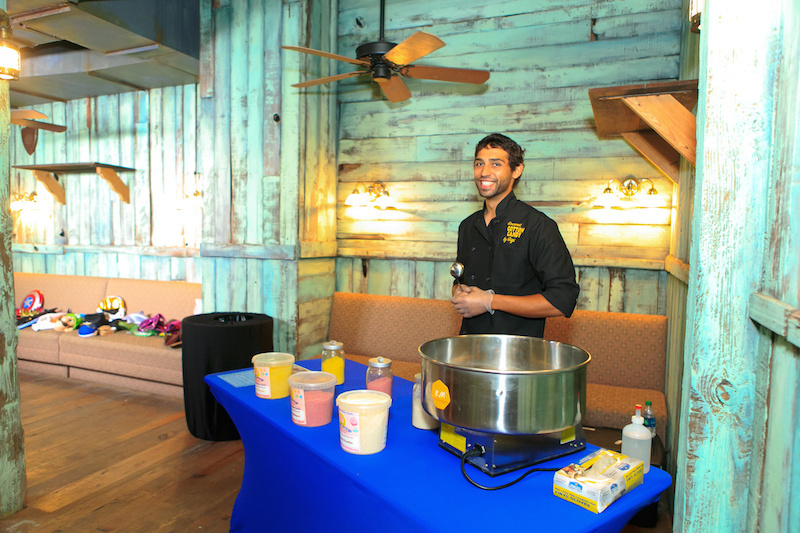 Amusement Masters was also given the opportunity to bring our newest sweet treat, Gigi’s Gourmet Cotton Candy, to ISES Live’s Sponsor Appreciation Reception. Held at the colorful and quintessential New Orleans venue, Mardi Gras World, we had the perfect backdrop for serving 100 of ISES Live’s most important guests…their conference sponsors! From witnessing smile after smile we had proof positive that they enjoyed our cotton candy made in a wide variety of flavors and made from air-spun organic evaporated cane juice, using only 100% all-natural flavors and colors. A cotton candy station was perfect for incorporating into this event…and perfect for holiday parties, wedding receptions, bar and bat mitzvah celebrations and more. We were thrilled that ISES Live let us share our enthusiasm about cotton candy with their VIP! New Attraction – Want to Swing? Photo Novelty Entertainment That’s Also A Party Favor!